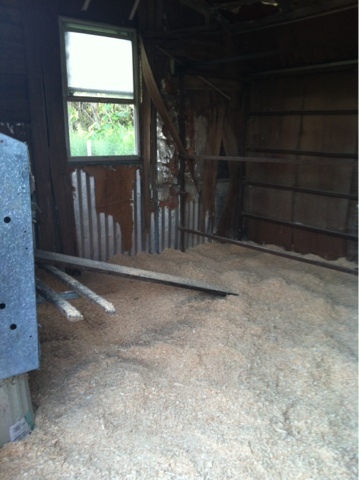 We have been overdue in a big job. Last week, we conquered that job. 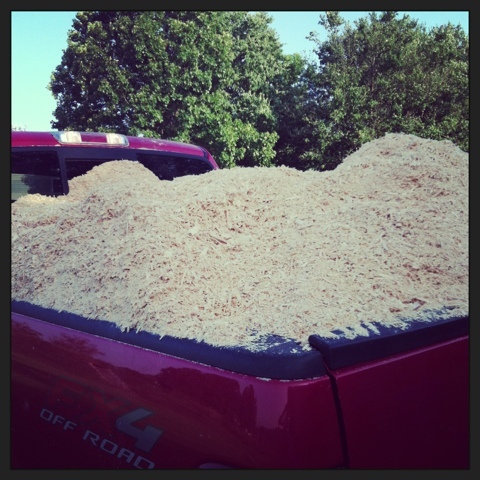 Shannon brought home a huge truck bed of wood shavings. The kids got a big kick of how it didn't fall out when we lowered the tailgate. I will spare you the pictures of how the before looked. Let me just say, we loaded up the compost bed. 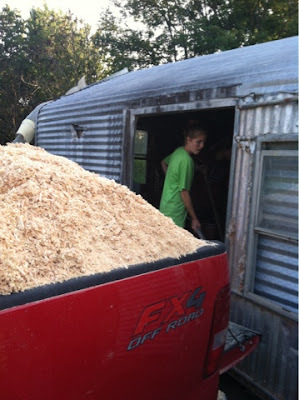 Then we started laying down some deep litter. The ladies weren't sure what to think. They would walk in and then they walked back out. haha. I don't think they remember having this nice of a coop. Everything was fresh and tidy. What? 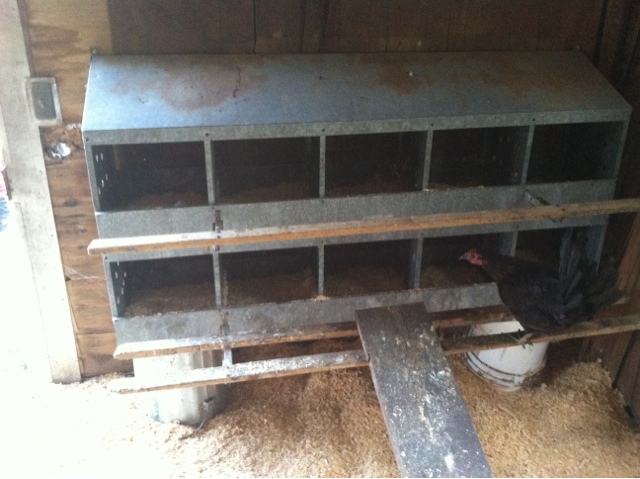 Clean nesting boxes too? I love accomplishing a big task. Thankfully we had some excellent helpers. It was a good day. 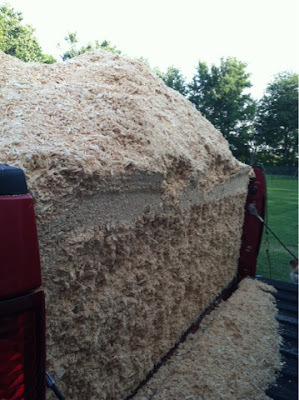 I used wood shavings for years with my chicks. I kept a 6 to 8 in. layer. I never had trouble with wet floor or smell. I would put it on my garden in late fall and set up again so it was always good and dry for them in the winter.